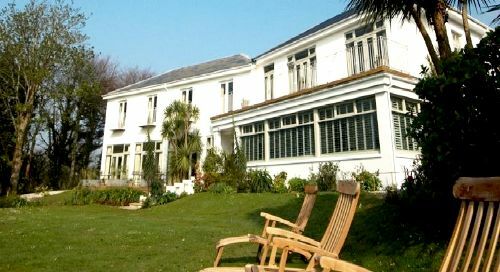 A fabulous Georgian coastal house two-minutes walk from the beach with just 12 rooms (each a studio, 1 or 2 bedroom apartment) an indoor pool, an excellent restaurant and a fantastically family friendly attitude... what more can you ask for? 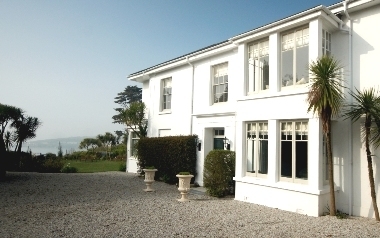 Parents and former hotel managers, Hazel and Tim bought and refurbished this wonderful seaside house a couple of years ago and have struck the perfect balance between style, luxury and family practicality. Guests have their own key to the front door and their own self contained space so are free to come and go as they please. All of the rooms are bright, airy and decorated in luxurious colonial style, complete with lovely sea views from their private decked terraces or balconies. 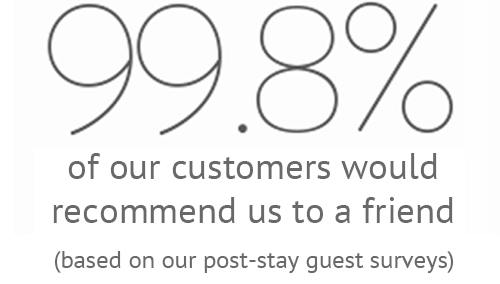 They boast flat screen TVs, free WiFi and, of course, luxury toiletries and Egyptian cotton bed linen. . Along with the large indoor pool and lovely gardens, guest facilities include an elegant morning room and restaurant, both with beautiful sea views, and a cosy family den complete with sofas, flatscreen TV, DVD library, X-Box, doll's houses and cupboards stuffed with lovely wooden toys. The mini kitchens (fridge, dishwasher, kettle, toaster and microwave/combi oven with grill.) in the studios make it easy to knock up meals for minis, but there's also a great kids menu in the restaurant and room service tapas menu for parents to relax and enjoy on their terrace or balcony, if not utilising one of the baby monitors provided for eating in the dining room. 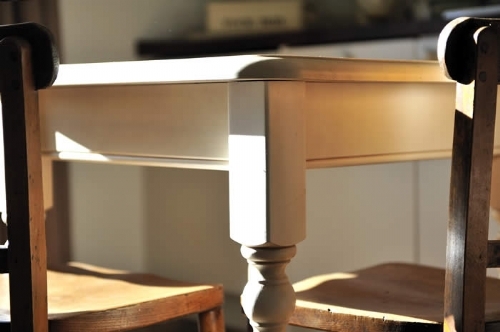 Rosevine studios are perfect for a couple with a baby as cots are provided free of charge. For a larger family, Rosevine's apartments may be more suited as they provide a children's bunk/twin room within the parents apartments. Just a few minutes walk away is the idyllic Porthcurnick beach which, with its calm waters and long sandy beach, is ideal for building sandcastles, swimming or relaxing in the sun. The picturesque fishing village of St Mawes is just a few minutes drive (4miles) and has some nice shops, a good deli, coffee bar, fresh fish van (before 10am) and the famous Tresanton Hotel (great for a special meal). There's also a castle and boat trips. For a kiddie attraction day trip, try Dairyland, Winner of the National Farm Attraction 2002/3. Perfect for animal lovers it has an animal park, bottle feeding lambs, “pat a pet”, pony rides and an assortment of birds and animals. There is also an indoor and outdoor play area, museum of Cornish heritage, a nature trail and a Lamborghini Hay Ride. You can see milking first hand everyday in the best milking parlour you are ever likely to see – it has a domed roof with glitter ball and music! 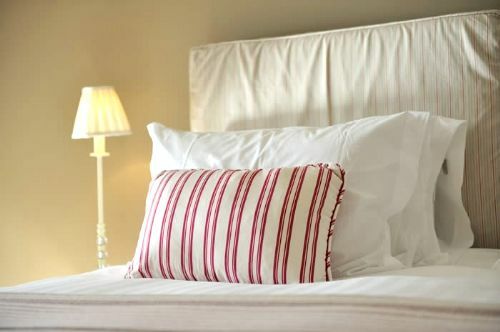 Please note that from the 1st of July- 31 of August a 3 night minimum stay is required. Bookings for shorter periods during this time will be denied. Tim and Hazel Brocklebank were part of the team that developed Luxury Family Hotels before its sale to Von Essen in 2005. 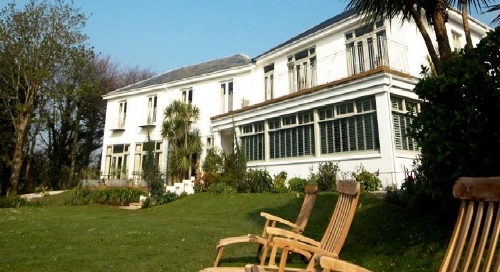 They purchased The Rosevine and spend 8 months converting the property into 15 apartments and suites, two of which are featured here on the Baby Family Boltholes Website. 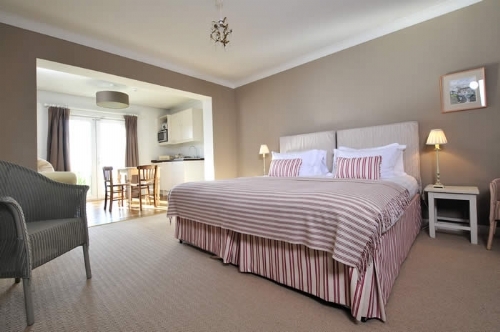 The Rosevine is half hotel and half self catering so you can choose how much to self cater or enjoy breakfast, lunch or supper in the dining room. House chefs provide rustic country cooking in a relaxing yet smart bolthole a stones throw from the beach at Portcurnick. 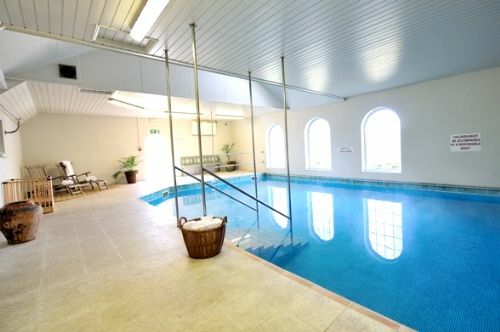 The indoor pool is enjoyed by parents and children alike with the many other facilities for families at The Rosevine. Do check out the website at www.rosevine.co.uk for further information. 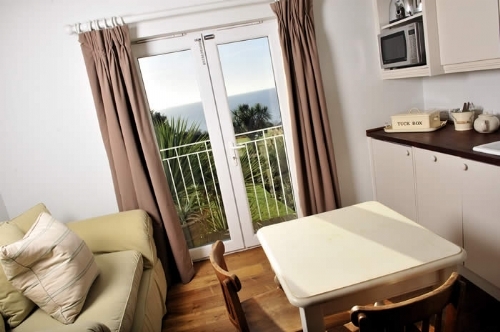 Sleeps 2 plus an infant in one studio room with twin beds. 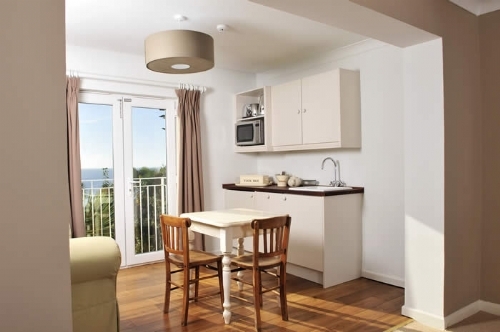 More studios (including double beds) are available, use the' ask the owner' a question button for more options. 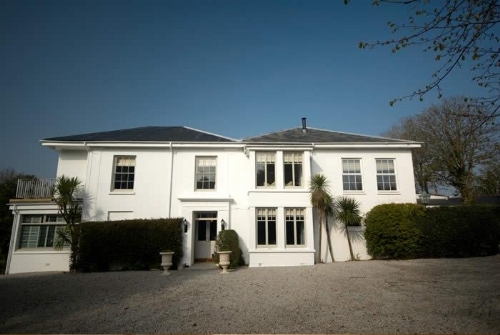 2 minutes walk to the national trust's large sandy beach of Porthcurnick. There is a lovely indoor swimming pool. Cots, baby baths, baby monitors , bed guards, sterilisers and highchairs availble on request. 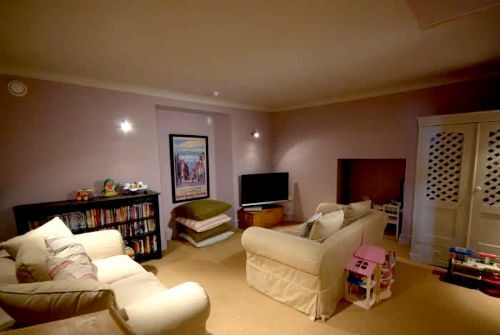 There is a range of childrens toys and books available along with an extensive dvd library in the play room which is complete with x box , widescreen tv and dvd player. 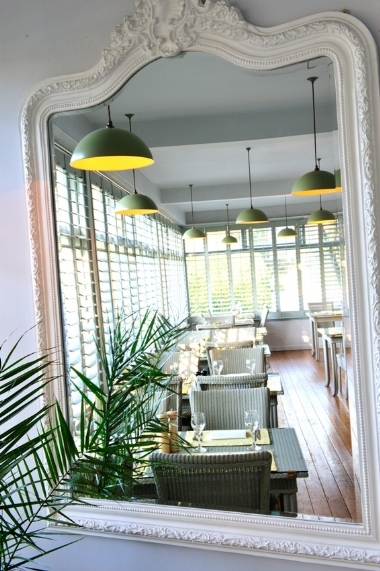 The in-house 'deli' room service offers Tapas dishes and other items, such as milk, bread, pots of home made jam, breakfast cereals, locally cured meats, snack boxes and wine from the house selection. Sample prices: Canapes for 2 £10, main courses £12pp. Little wooden play house, Trampoline, Climbing frame with rope ladders and swing, Little Tykes toddlers climbing frame and Table tennis. The restaurant is open 7 days a week (not Sunday evenings) from 9am-late. It has excellent breakfast, lunch, afternoon tea and supper menus for kids (main courses £4-£6) and adults (main courses £6-£16). There is a very small private balcony. We had a fantastic time at the Rosevine with our 12month old. We were greated outside by the owner who took our cases and showed us round. Everyone was very friendly. We were given everything we needed to make the stay comfy for us and our little one. The food was great, the house amazing, and most importantly our baby had lots of fun.